Les Fairclough was a classy stand off for the Saints in the years following World War One. The Aussies raved about him and he could have ended up playing for a host of clubs Down Under at the conclusion of the 1928 tour. It was to his credit that he stayed at Knowsley Road and continued to enhance his reputation still further. Leslie Fairclough had signed for the Saints on Christmas Day 1917, when he was on leave from the Army, having enlisted some time previously as a drummer boy in the Fourth South Lancashire regiment. Earlier still, he had been a schoolboy star at Rivington Road School and it was his old Headmaster and Saints’ Chairman Tom Phillips, who signed him on. 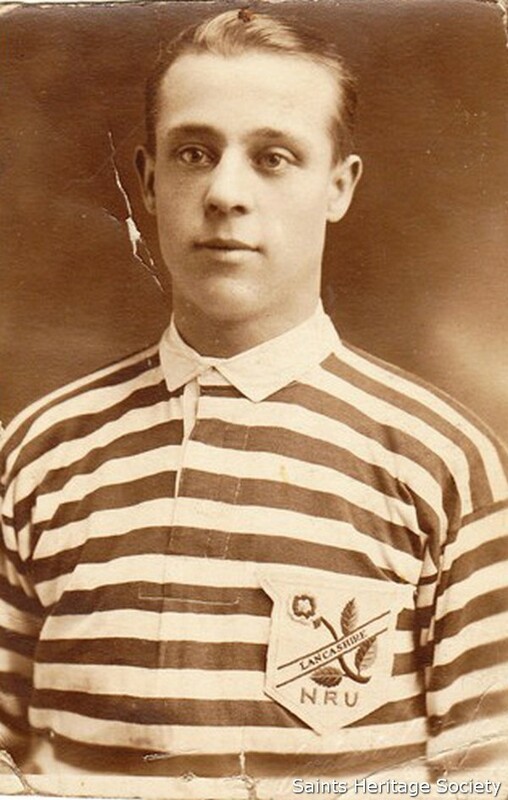 The frail-looking 18-year-old made his debut in the home match against Rochdale Hornets on 5 February 1921. Leslie seemed to have all the essential skills for a top class number six. His partnership with Walter Groves became one of the most reliable and durable combinations in the league. Leslie went on to play 355 matches for the Saints and although not a prolific try-scorer as such, was one of the most creative stand-off halves in the game. One of his best seasons was 1926/27, when he scored a vital touchdown against local rivals Recs at Warrington in the Lancashire Cup final. 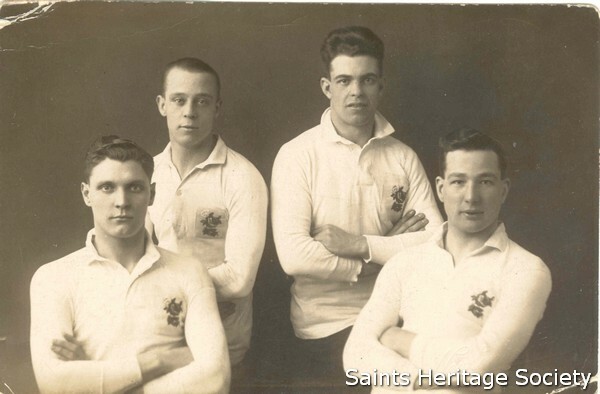 The Saints went on to lift the Lancashire Cup for the first time in their history by 10-2, after a further try by wing sensation Alf Ellaby, who was to benefit immensely from Fairclough’s excellent service to his centres. Leslie played a record 21 times for Lancashire. He made his international debut for England in the 27-22 success over Wales. His elusiveness and marvellous hands made him an automatic choice for the 1928 Australian Tour. His tryscoring performances in the first and third Tests helped Great Britain win the Ashes. It was unfortunate that a persistent knee injury denied Fairclough a League Championship medal in 1932, when he played a mere nine matches. 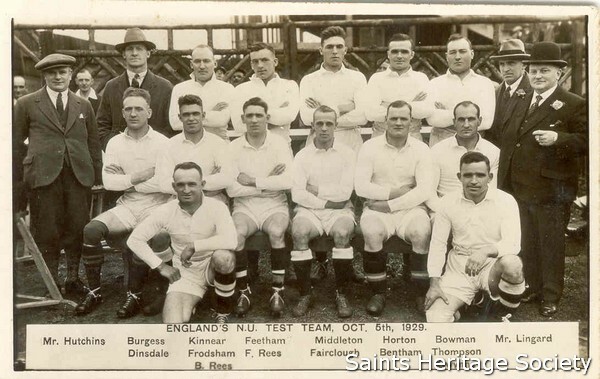 He was one of the most influential Saints’ players in the era before the Second World War renowned in both Britain and Australia. Leslie was also the first Saint to captain his country.